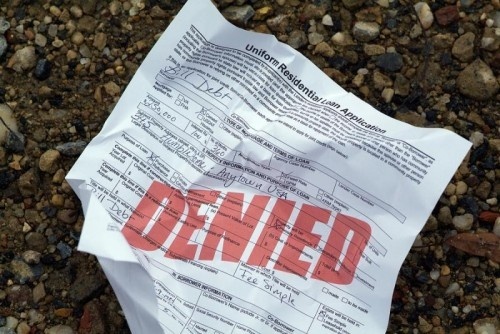 Have you found your dream home but were denied a mortgage? A problem with your application doesn’t necessarily mean that you’ll be stuck paying rent for the rest of your life. There are ways of working around issues like debt; credit ratings and low income so don’t despair. Appeal the Decision - First, find out what the issue was and rectify it. After it has been addressed resubmit your application. A little restructuring can go a long way. Find a Guarantor - If you were denied for a second time it might be a good idea to find a guarantor. It can be a great help but the deal is only as good as the guarantor’s credit. In fairness don’t resort to this unless you have to because if you default on the loan it’s then the guarantor’s responsibility to pay. Downsize - Despite how excited you are about your new home, if you’re stretching your finances to make monthly payments it might be best to reconsider your housing choice. Be realistic with what you can really afford. Consider downsizing and applying for a smaller loan until your income increases. Buying a home is one of the biggest financial decisions that you will ever make. Long before you begin the application process you should be focusing on getting your finances in order. Saving at least 5% for a down payment and a little extra for legal fees will lessen the chance of your application being rejected. Getting pre-approved for a mortgage is also important as it lets you know how much of a mortgage you qualify for. Before you begin looking and fall in love with a home that might be out of your price range, GET PRE-APPROVED. I'd just like to add a note that if someone's been declined by one lender or bank, that doesn't necessarily mean that there is something 'wrong' with the applicant, but may mean that the lender doesn't have the product the applicant needs. Just because two banks may have a 5 year term mortgage at the same interest rate, does not mean this is the same product. The fine print may be very different. For instance, if a person were to apply to a particular bank for a Cash-Back mortgage because they didn't have the required 5% downpayment and they were denied (or sold a more expensive personal loan in lieu of the downpayment in order to qualify for a different type of mortgage product), this person might become discouraged and believe that he/she cannot qualify for a mortgage. This is not necessarily true. It is true, however, that this lender does not have the product that the buyer needs. In this case, the buyer is best to not have lender loyalty, but rather to align themselves with a broker who can access multiple lenders and find the one(s) that have the product the applicant needs in order to proceed with his/her home purchase.